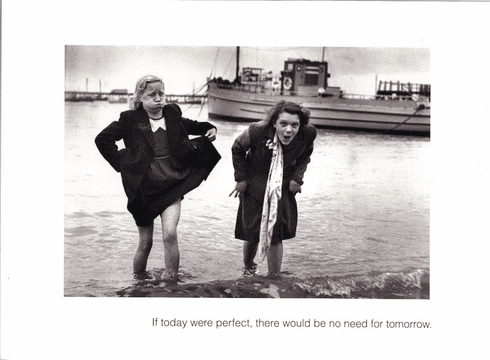 Outside: If today were perfect, there would be no need for tomorrow. Inside: Blank. Borealis Press card measures 5 x 7 inches. Includes envelope.